NOTE: The Ellis Library Reserve desk DOES NOT create courses through E-Reserves for faculty. 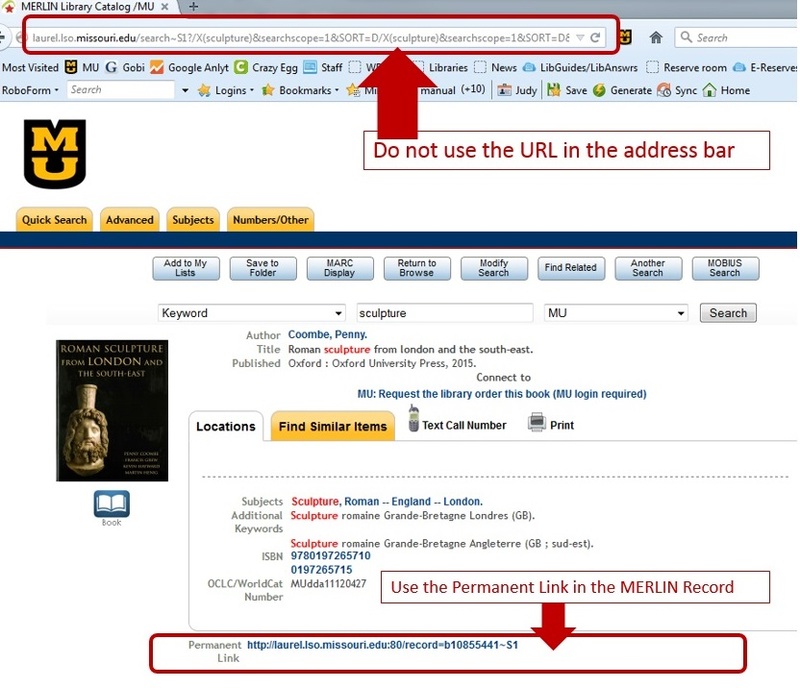 For assistance in creating your course, please view the guidelines or contact umcellislibraryres@missouri.edu. If a class has a Course Guide, the tool will automatically add it to the course. For classes without Course Guides, departmental subject guides will appear. No action is required of the instructor. The same is true of most E-Reserve lists; however, instructors who create their own E-Reserve lists will need to add metadata or ask the Reserve Desk to do this for them. The metadata matches a parameter within Blackboard and Canvas. If you would like a tailored library guide for your course, contact your subject librarian.